Michael Goodhart is Professor of Political Science, and he holds secondary appointments in Philosophy and in Gender, Sexuality, and Women's Studies. He is Director of the Global Studies Center at Pitt and a University Honors College Faculty Fellow. 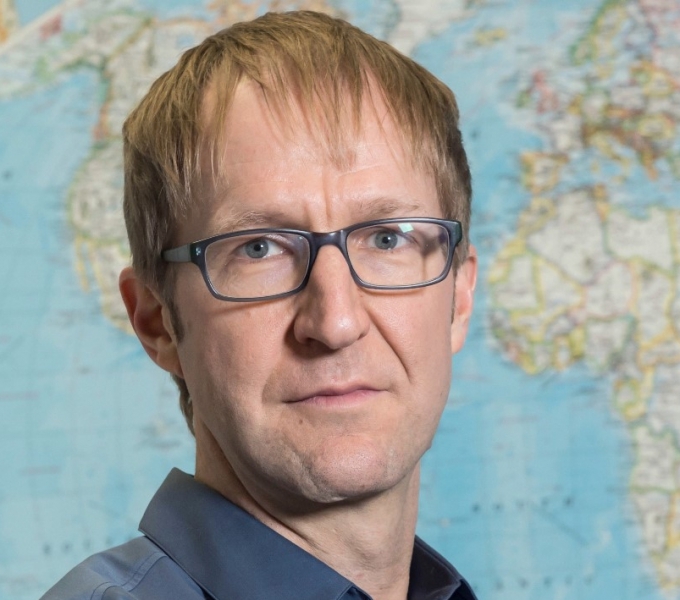 His current research focuses on questions to do with global injustice and responsibility for injustice and in the ways in which political theorists think about these problems. He is also interested in human rights praxis as a form of counter-hegemonic politics under neoliberalism. His core intellectual interests are in the theory and practice of democracy and human rights in the context of globalization and in related questions concerning global justice, democratic governance, and political responsibility at the transnational level. Dr. Goodhart is author of Injustice: Political Theory for the Real World (Oxford 2018), Democracy as Human Rights: Freedom and Equality in the Age of Globalization (Routledge, 2005), contributing editor of Human Rights: Politics and Practice (Oxford University Press, 2009, 2012, 2016), and contributing co-editor of Social Movements and World-System Transformation (Routledge 2017) and Human Rights in the 21st Century: Continuity and Change since 9/11 (Palgrave, 2011). He is also author of numerous articles and book chapters. Dr. Goodhart is co-president of the Association for Political Theory; he is an affiliate of the Human Rights Institute at the University of Connecticut, a member of the Center for Ethics and Policy at Carnegie Mellon University, and sits on several editorial boards. In 2008-2009 he was an Alexander von Humboldt Foundation research fellow and Guest Professor in the Hertie School of Governance, Berlin. Injustice: Political Theory for the Real World. Oxford University Press (2018). “Constructing dignity: Human rights as a praxis of egalitarian freedom,” Journal of Human Rights (2018). Smith, Jackie, Michael Goodhart, Patrick Manning, and John Markoff, eds. Social Movements and World-System Transformation New York: Routledge (2017). Interpreting Responsibility Politically." Journal of Political Philosophy 25.2 (2017). “Recent Works on Dignity and Human Rights: A Road Not Taken,” Perspectives on Politics 12.4 (2014). “Accountable International Relations,” in The Oxford Handbook of Public Accountability, Mark Bovins, Robert Goodin, and Thomas Schillemans, eds. Oxford University Press (2014). "Human Rights and the Politics of Contestation." In Human Rights at the Crossroads, edited by Mark Goodale. Oxford: Oxford University Press (2013). Revised 04/16/19Copyright 2019 Send feedback about this site.